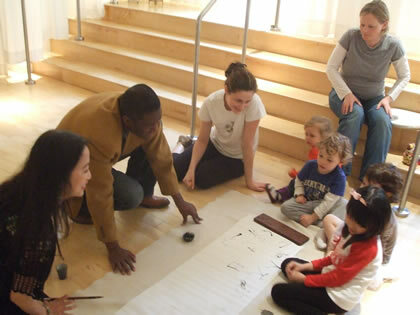 At the Friends Academy of Japanese Children’s Society, where young children through high school aged kids can receive Japanese language instruction, there will be a calligraphy workshop. Participants will have a chance to try “kakizome”, the first shodo calligraphy of the year, and learn about the culture that has been observed in Japan for centuries. Anyone interested in Japanese culture, from elementary school age kids to adults, is warmly invited to join. This entry was posted on Sunday, January 22nd, 2017 at 7:00 am	and is filed under Events, Press Release, Studying. You can follow any responses to this entry through the RSS 2.0 feed. You can leave a response, or trackback from your own site.